Anti-immigrant sentiment, often based in racist and hateful ideology, is on the rise in our country, but few of the “haters” realize that approximately 11% of all U.S. veterans come from an immigrant background. 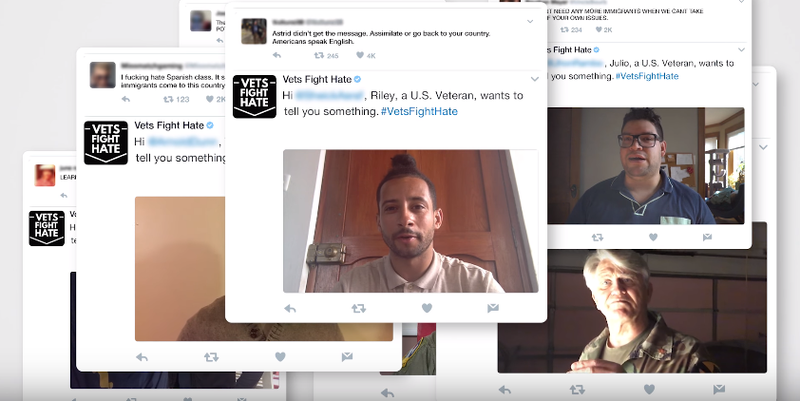 Veterans have made real sacrifices for our country and are among the most respected and honored Americans, which is why Southern Poverty Law Center is partnering on Vets Fight Hate, a campaign to urge Americans to think twice before judging people who are different than they are and whose stories they don’t know or understand. Through Vets Fight Hate, immigrant veterans are responding to hateful tweets by sending an inclusive message of peace and unity to positively impact our fractured society and fight back against those spreading hatred.